If you have dry, damaged hair, it’s best you stay off conventional hair products which can be harsh and drying. 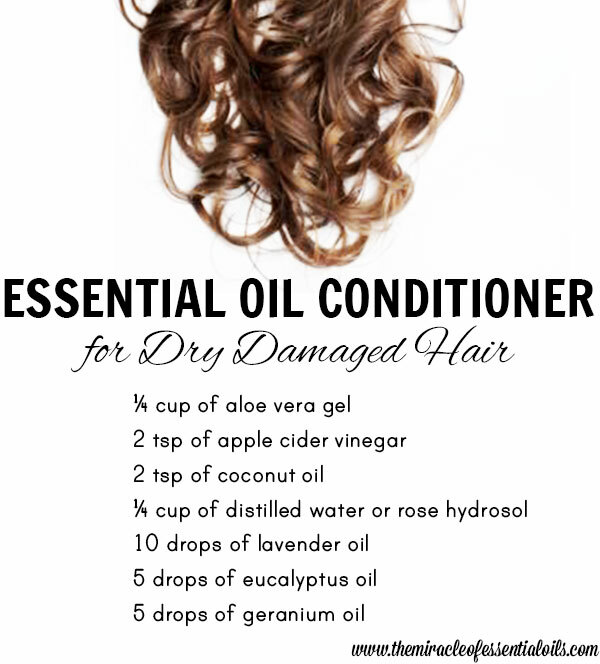 Try this essential oil conditioner, which is natural and nourishing, instead! Dry, damaged hair needs special care. 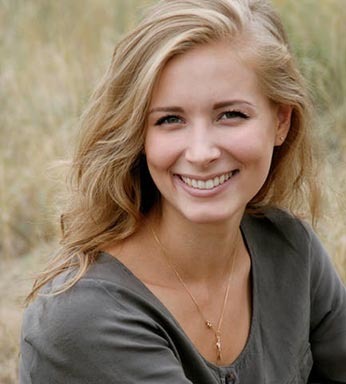 Hair in its best condition should be shiny, hydrated and healthy-looking. In dry, damaged hair, there is not enough natural oils being produced by your hair follicles. This leaves your hair dry. 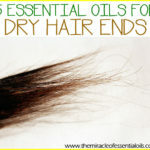 Dry hair is brittle, dehydrated and easy to break. In the long run, dry hair leads to damaged hair and can thin out your hair. Dry hair is often made worse by using conventional products like shampoos and conditioners. 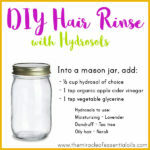 Luckily by using natural remedies, and a few lifestyle changes, you can reverse dry, damaged hair! 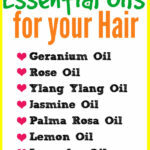 Essential oils are one of the best natural remedies to make use of when it comes to regaining health hair. 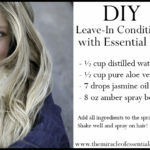 Making an all natural essential oil conditioner is easy, so what are you waiting for?! Why Make a Natural Hair Conditioner? Not everyone uses conditioner after shampooing, but using conditioner makes all the difference to achieving silky, flawless lock, especially for dry hair! In dry hair, the hair cuticles stick out from the strand due to lack of hydration. This gives each strand a rough texture and makes the hair look lifeless and coarse. The purpose of conditioner is to smooth down hair cuticles and make them lie flat. This creates lovely, supple and manageable hair. Let’s Make Use of Natural Ingredients! As usual, to make this essential oil conditioner, we are going to be using nothing but natural ingredients. We will be using just 4 ingredients – aloe vera gel, apple cider vinegar, coconut oil and of course, some essential oils! » Apple cider vinegar – Rich in live enzymes, probiotics, vitamins and minerals; helps to close cuticles, tames wild frizzy hair; leaves hair looking shiny and glossy. In a glass bowl, combine only the aloe vera gel and essential oils. Mix for about 5 minutes to create an emulsion. Now add in the coconut oil and mix again. Next add the apple cider vinegar and distilled water and stir to create a smooth mixture. Using your funnel, pour your now-ready conditioner into a dispensing bottle for easy application. 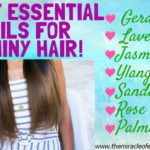 After washing your hair with a gentle sulfate-free shampoo (or your own DIY shampoo), proceed to apply your essential oil conditioner all over your hair. 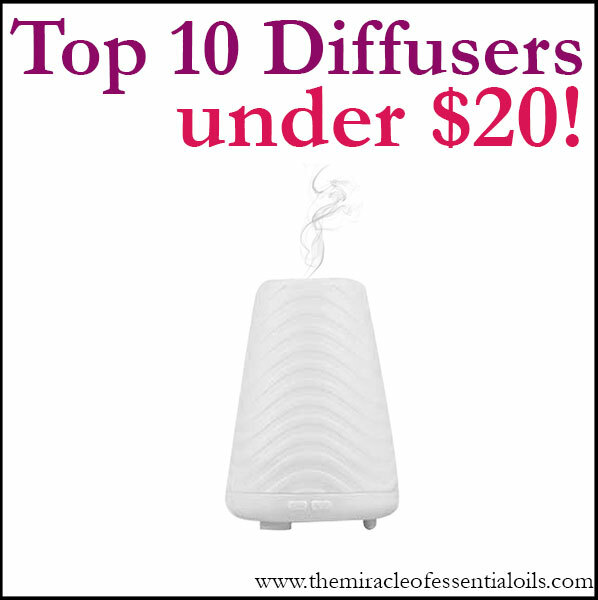 Allow the essential oil conditioner to work its magic for at least 5 minutes. Now rinse off the conditioner and repeat one more time if needed. 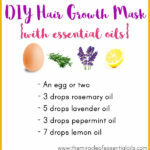 Feel free to use your favorite essential oils or powerful essential oils for hair growth. Drink plenty of water to hydrate your roots and strands. Avoid using too much heat on your hair.